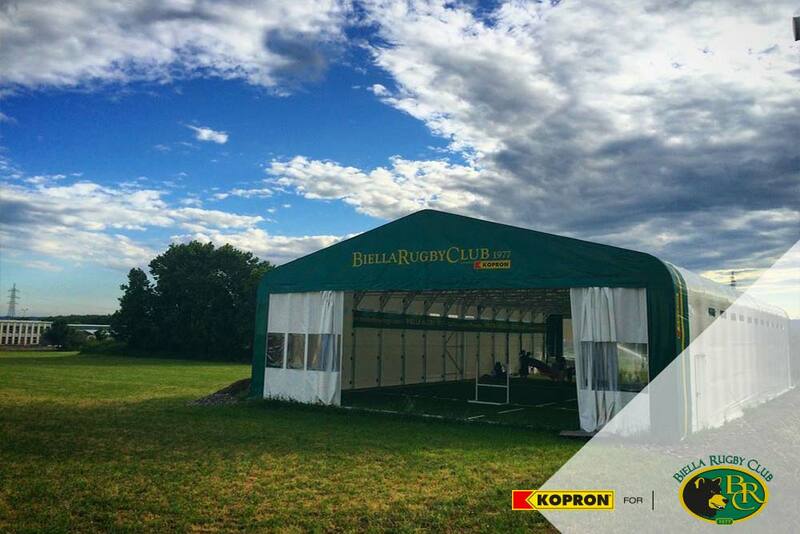 Kopron designed and produced a new sports warehouse for Rugby Biella, a flexible covered space of 450m2, installed in short time, to host a sports field and other activities. 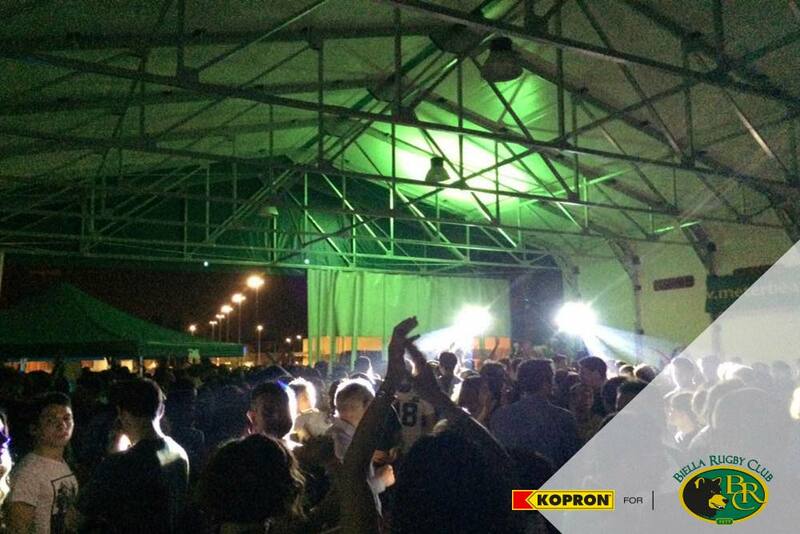 The warehouse has been designed according to specific requirements of the club, it had to be thirty meters long and fifteen meters large, with a robust PVC covering and with 18 vision panels to filter natural light. Kopron design for sports warehouses is unique, carefully studied out and fully in compliance with customer’s philosophy. A careful design takes in consideration the environment and territory the warehouse is fitted in, for instance the rounded corners of the trusses are in harmony with landscapesand create a hushed atmosphere inside the structures. 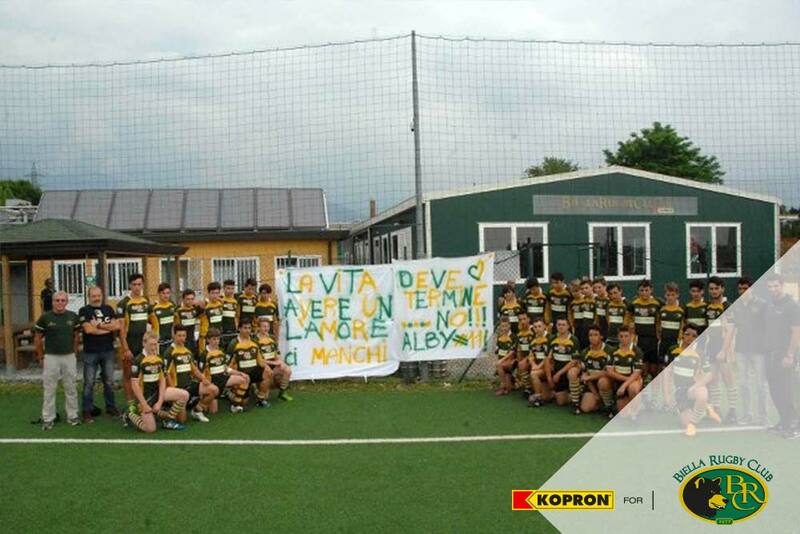 Mr Vittorio Musso, chairman of Rugby Biella club, who was very satisfied with the job done, said: ”Now we are able to use a covered field thanks to the PVC warehouse produced and installed by Kopron”. 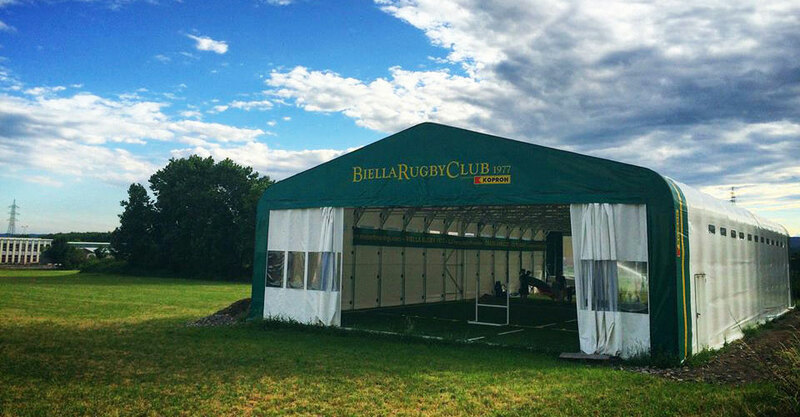 Rugby Biella had already installed a 170 m2 Kopron structure in sandwich panels in 2011, used as a depot and for other operations. To set up this new Citadel, which needed to enlarge its spaces with a flexible structure with a correct environment impact, Kopron’s solution was the right choice. The use of steel guarantees easy disassembly and re-assembly elsewhere, it can be easily modified, it is durable and economical. Besides steel structures and PVC coverings are ecological since they can be recycled. 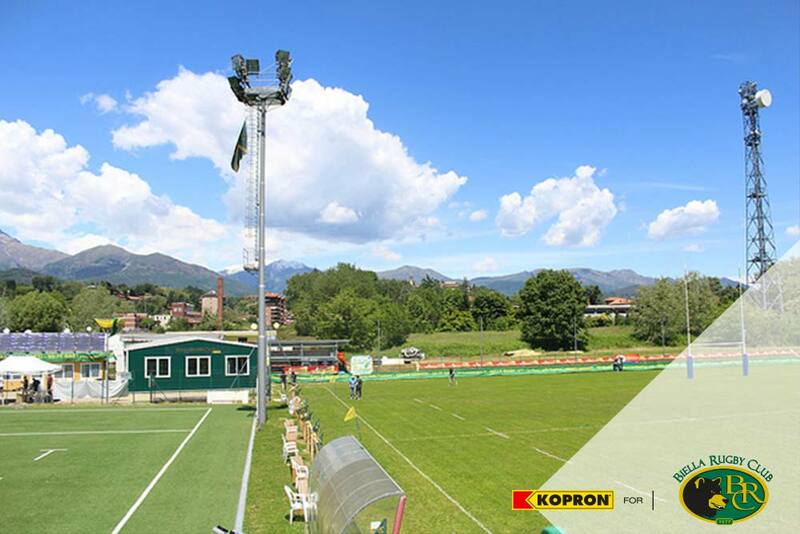 The “Cittadella del Rugby” project, which shall be finished by 2017, is the result of the idea of local authorities, Rugby Biella club and Italian Rugby Federation together. It will not only be a sports center a but also a social center. The project includes the improvement of the game areas as well as of other structures intended for social meetings or other local events. 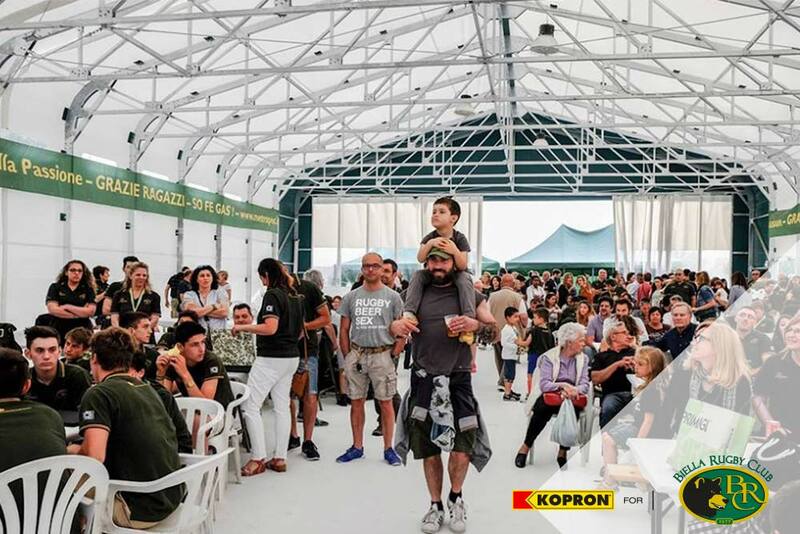 “Cittadella del Rugby” has the ambition to become an attraction pole for sportsmen, and for whoever wishes to spend some time outdoors in a healthy and clean environment away from daily stress.